Tourism with Business Level 5 With Center Parcs opening in County Longford during Summer 2019 and Failte Ireland continuing their Ireland’s Hidden Heartlands campaign, tourism is set to be one of the main employers in the region. 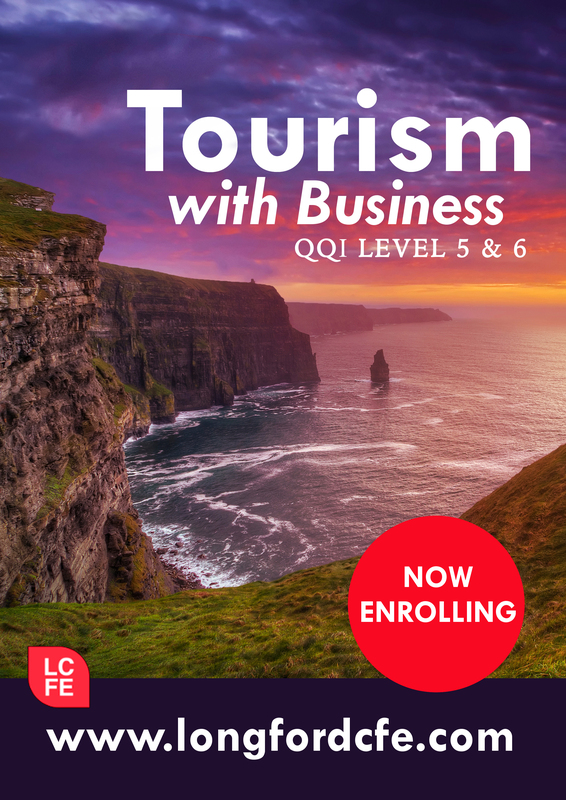 Longford College of Further Education are offering a QQI level 5 Tourism with Business course for school leavers to make them ready for jobs in the tourism sector. 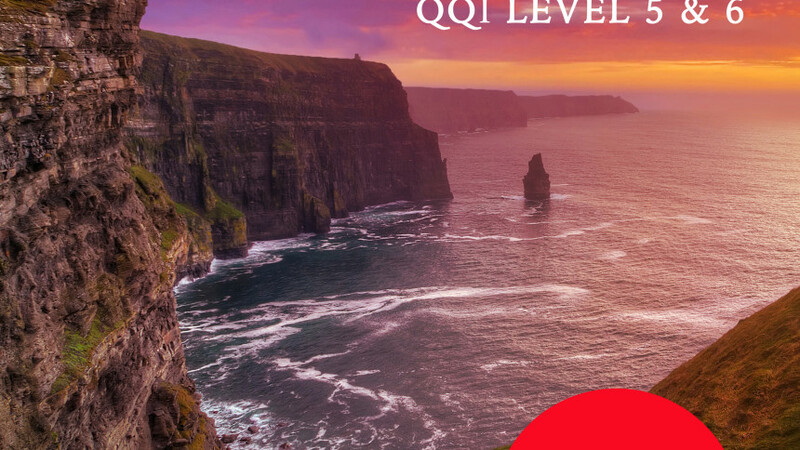 Alternatively, students can use the 390 CAO points from the course for college entry or they can progress to our level 6 tourism course and gain direct entry from that into year 2 of the Hospitality degree or the Business degree in Athlone Institute of Technology. With the rising cost of student accommodation, it makes sense to start a degree locally in Longford College of Further Education. For more information go to www.longfordcfe.com or contact hjohnston.tcl@lwetb.ie or come along to our open day on March 6th in the college. The aim of this programme is to prepare students to work in tourism and related industries. 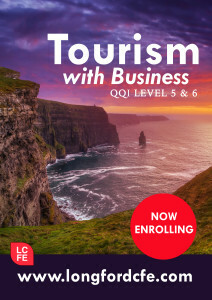 The modules are chosen to give students opportunities for career progression in tourism and / or entry onto the level 6 Tourism with Business award in Longford CFE. Students have the opportunity to participate in a three week international work placement in Tenerife in Oct/Feb as part of an Erasmus + Programme. For all other students there is a two week work placement requirement in a tourism related setting. The midlands region is going through a tourism regeneration with the imminent arrival of Center Parcs in Ballymahon. Fishing and boating holidays are on the increase on Lough Ree and local councils have greatly improved canal and woodland tracks. This has created job opportunities in accommodation, customer service, concierge, tour guides and connected services.